NEW STOCK JUST ARRIVED AND IN WONDERFUL CONDITION THROUGHOUT. 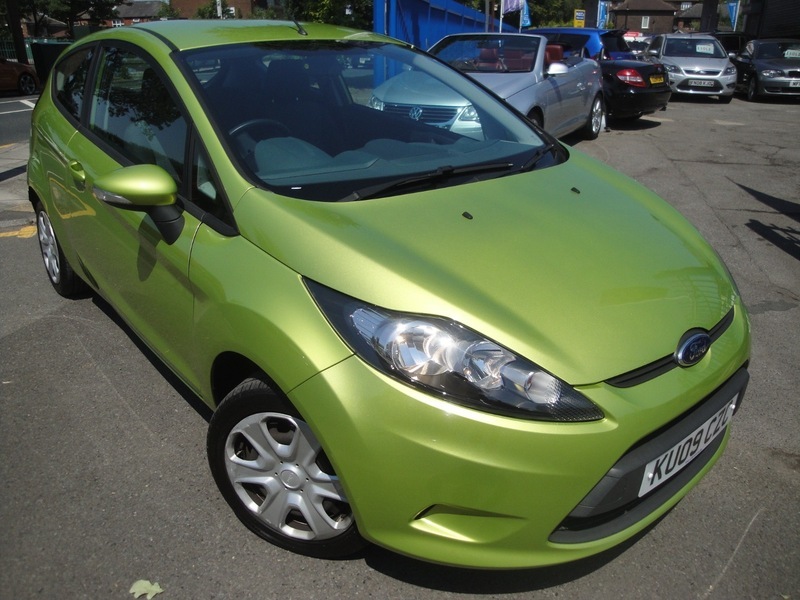 FINISHED IN 'SQUEEZE' GREEN METALLIC WHICH MAKES THIS FIESTA STAND OUT FORM THE CROWD ! THE CAR ALSO BENEFITS FROM HAVING AIR CONDITIONING AND A HEATED FRONT WINDSCREEN. COMES WITH ORIGINAL SERVICE BOOK AND 2 KEYS. SERVICED AT 7326, 10359, 16237, 32212, 45145, 53857 AND 62268 MILES.